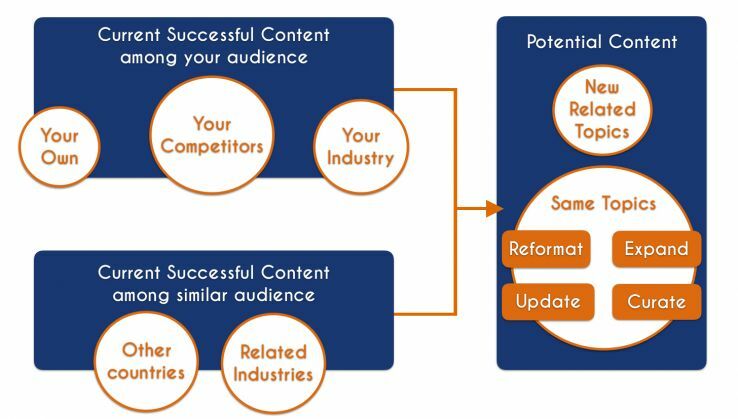 As this afternoon I’ll give an SEO training to one of my client’s content team, I wanted to share with you a specific scenario I’m including and making emphasis for: Content Reusage. A few weeks ago in this “SEO & Content” presentation with the American Marketing Association online event. In this Calq Webinar from a few weeks ago about identifying content opportunities that will connect with your audience. Or post about identifying content ideas for your blog posts at Moz. The usual process and steps are that you analyze the current successful content (the one that has converted better, attracted more visibility and traffic, got more links and shares, etc.) from your own properties, your competitors and overall industry -that you can expand by analyzing your own industry in other countries or similar industries-, and find potential related or similar topics that you can use to better connect with your audience by fulfilling their questions and interests around your area, business, product or service. The usual “challenge”, especially in mature, competitive industries comes when you identify that most of the topics you would like to write about have been already covered not only once, but many times with different types of articles, guides, posts, Webinars, videos, etc. in different ways, not only by your competitors, but also yourself in the past. What criteria do you use and process you follow to identify if there are still opportunities to provide value to your online audience by writing about a topic that has been already covered? A few years ago I did a presentation at MozCon about SEO Project Management that I followed up to with a test to verify what people had learned from it. There was an insightful How to Post from Himanshu about how to calculate SEO ROI based on which I created a Calculator (giving the relevant references of course). Something similar with the hreflang generator tool based on the specifications provided by Google. As you can see, content doesn’t need to be about a completely new topic in order to be successful and connect with your audience in a relevant and meaningful way that provides value. 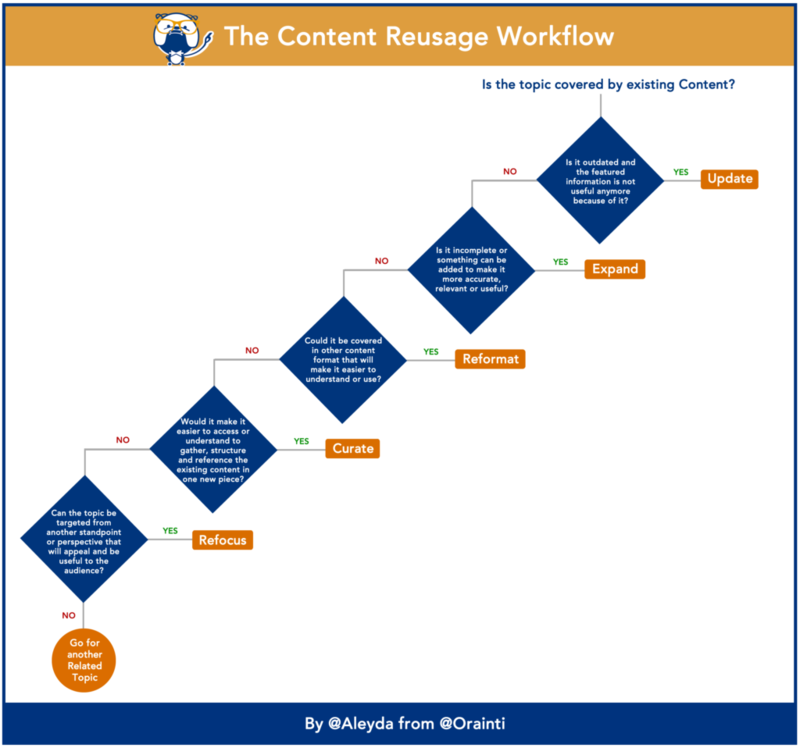 Do you have any additional use cases, examples or alternatives for content reusage? Let me know in the comments!